There are many ways of smoking weed, Some of the methods come from long time tribal smokers while other methods are much more modern. There is no correct way of smoking weed so to say. In this article I will be discussing the various methods that are commonly used when smoking cannabis. 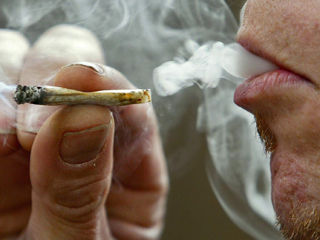 This is one of the more widely used methods to smoke marijuana. You mix the cannabis plant with tobacco and wrap it up in a paper ready for smoking like a cigarette. You can smoke weed in a bong, by using a pipe. You can even vaporize cannabis. When it comes to smoking marijuana then really isnt a proper way to smoke it. just make up your own pipes, bongs or even eat it. I personally enjoy smoking my weed in a spliff or bong. How about you? how do you like to smoke cannabis weed?